Many of the furnishings and the rug in this ladies sitting room were among the already existing family belongings. 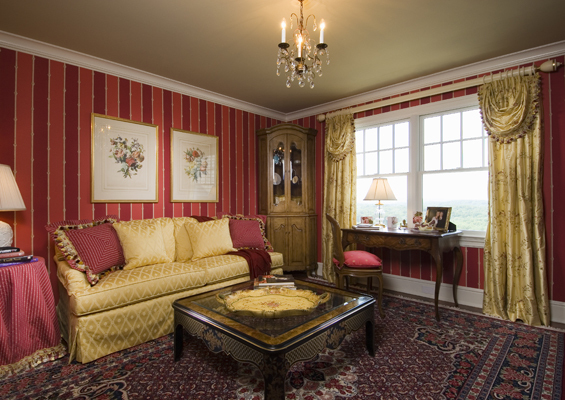 We started with a bold-striped wallpaper from Clarence house that laid the foundation for the red and gold colors of the room. 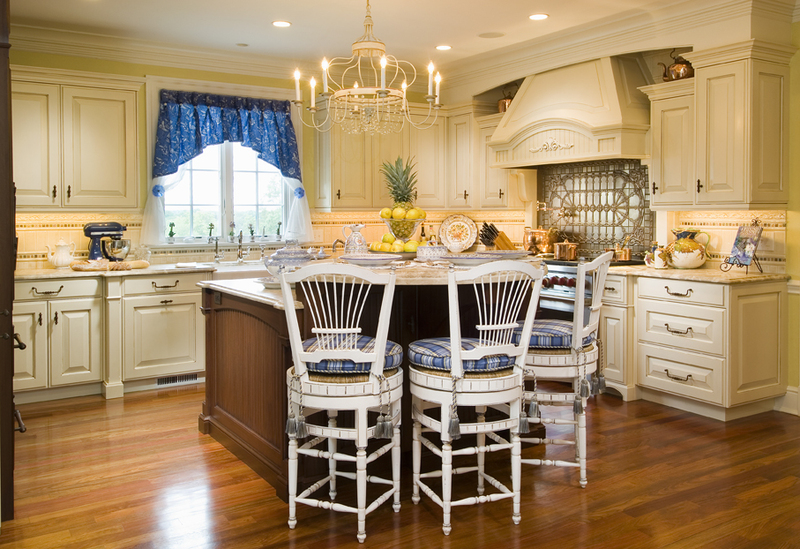 The elegant, embroidered silk panels wih attached, swag valances hang from Stroheim and Romann's ivory & gold-leafed pole and embrace the petite, French writing desk and chair.